Jonathan O’Driscoll (30) of Coolcower House, Macroom was charged with assault causing harm to Christy O’Callaghan (73) at Sleaveen East, Macroom on 21 March. O’Driscoll, who is originally from Dan Corkery Place in the town, appeared before a special sitting of Bantry District Court today where he was charged with the offence. Detective Garda Alan O ’Sullivan gave evidence of arrest, charge and caution in the case. He told the court that the accused replied “I’m sorry” when the charge was put to him after caution. Solicitor Flor Murphy said that his client was seeking bail on the charge. 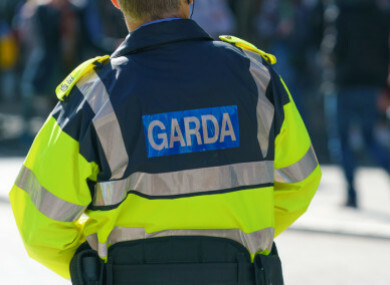 However, Garda Inspector Eamon Brady said that gardaí were objecting to bail arising out of the seriousness of the charge against the accused. Judge Con O’Leary refused bail in the case. He remanded O’Driscoll in custody to appear again at Bantry District Court on Thursday. O’Callaghan was sleeping in his van near Fitzgerald’s Funeral Home in the town when he was assaulted. The pensioner is well-known in the world of greyhound racing as he trained a number of winners of the Irish Laurels in the 1970’s and 1980’s. Email “Man appears in court charged over assault which left 73-year-old man in critical condition”. Feedback on “Man appears in court charged over assault which left 73-year-old man in critical condition”.